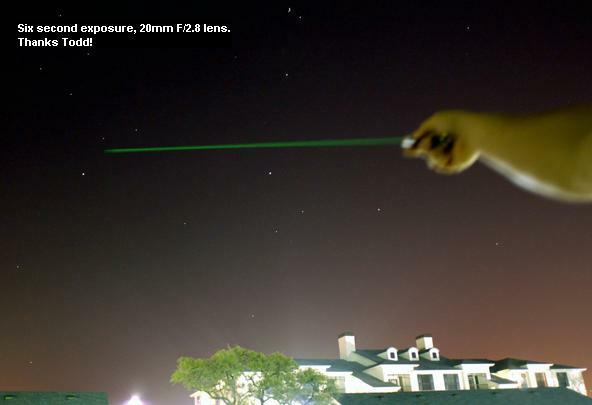 StarFinder� Chrome Green Laser Pointer - 4-5mw output power! On-Off control retrofit kit version also available. 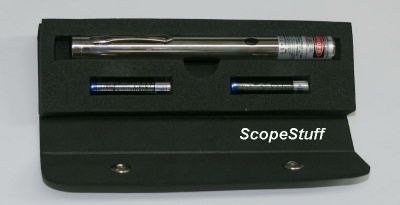 532nm, Class IIIa, the most powerful class pointer allowed by the FDA. and a case. Momentary button. Also works with lithium batteries. Six Month Warranty against defects! technology models, allowing use in frigid conditions! advertized as "<5mw". Ours are guaranteed 4-5mw output power! Fits ScopeStuff #SFM1 Laser Finder Mount and options listed below. use. Long term continuous operation may lead to damage of lasers. 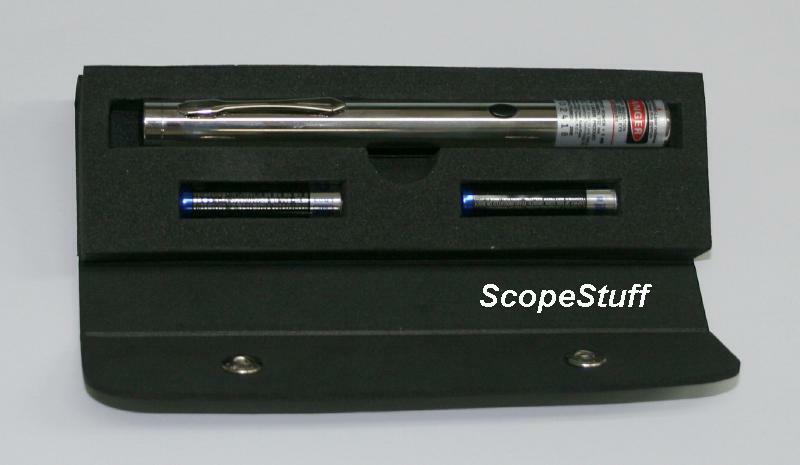 $34.00 - #LASH - Heater for Green Laser Pointers - Information here! Our price includes shipping in the USA! in controlled situations. Lasers can cause permanent eye damage. can result in prosecution by federal, state and local authorities. How does a green laser pointer work?